Line Friends announced on December 11 that character merchandise for BT21 is ready for the in-store release soon. BT21 refers to a group of eight characters inspired by globally known K-pop group BTS. Each BT21 characters are made especially meaningful to BTS fans as members of the group participated in the production from the initial stage. Each member took charge of each character which reflects his own interests and personalities. 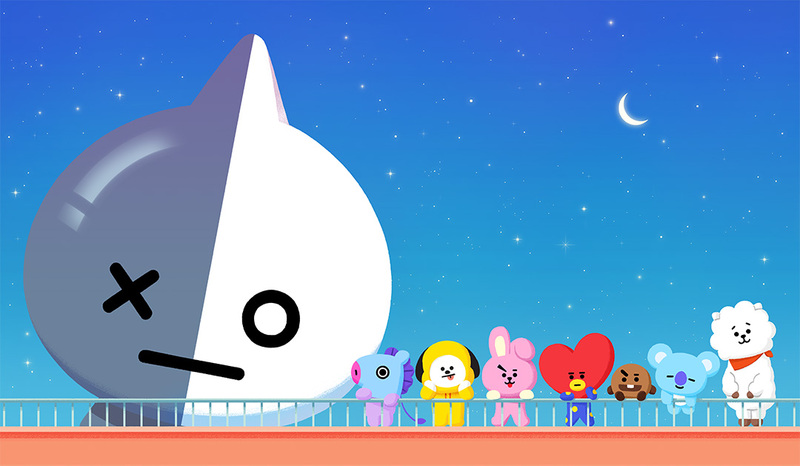 Seven characters – Tata (V), RJ (Jin), Chimmy (Jimin), Cooky (Jungkook), Mang (J-Hope), Shooky (Suga), Koya (Rap Monster) – represent members’ personas and the eight character, Van, presents “Army,” the fandom of BTS. ‘Shooky’ designed by BTS member Suga [Image in courtesy of BT21]. BT21’s character products will be available from December 16 at the pop-up store in Boon the Shop in Gangnam’s Cheongdam-dong. Products, which range from plush dolls to stationeries and clothes, will soon become available at other Line Friends stores located nationwide. Internationally, New York’s Line Friends store will carry BT21 items for a limited time. Products will be available at other international stores in Japan, Hong Kong, Taiwan, and Thailand next year.